There are 6 simple steps to this Medical Minute campaign. 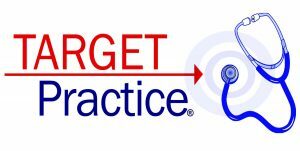 Research your marketing area and select a target area around your practice within a 5-10-15 mile radius utilizing demographics age, gender and interest. Scripting (6) 60-second Medical Minutes. 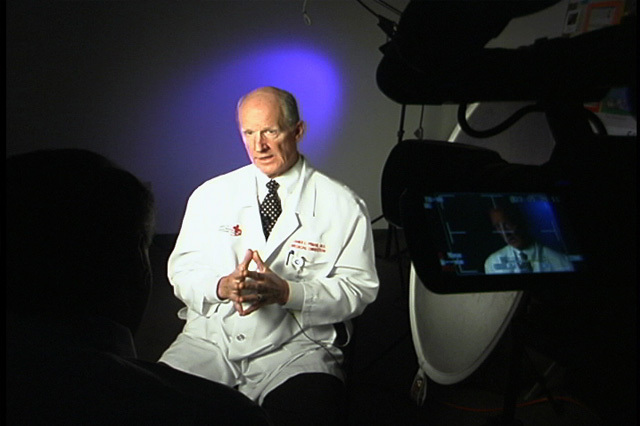 Film all Medical Minutes on-site or at our studio with a scripted teleprompter. Filming time approximately 2 hours. Then the Medical Minutes go into post production for professional voice over, intros, graphics, animation, action shots and music mix. Distribution and a placement guarantee of 75,000 impressions on all social media networks including, Google, YouTube and Facebook. We rotate each of the (6) videos until the 75,000 impressions are satisfied. You will receive a monthly detailed written report of all of your videos click through that were received from all of the Medical Minutes during the campaign. * Your approval is need at the end of steps 1, 2 and 4. This integrated system of video production placement, distribution, campaign management and reporting are managed by “Target Practice” a division of Windsor Productions. Google manages and distributes the entire campaign of your video ads through a sophisticated series of algorithms. Your spot can be targeted to an audience of your choosing, which the criteria includes cities or DMA (Designated Marketing Area), age, gender & interest. YouTube is the largest and most successful video platform in the world. All “Digital Doc” videos appear on YouTube by city or area. This campaign will deliver 33,000 impressions with over 28,000 views by city radius. Your business Facebook will also be integrated into the system and we’ll introduce a new video each month. You chose the area, 5, 10 or 15 mile radius of your location with 41,000 impressions. All Medical Minutes are professionally scripted, filmed and edited by the same production on-site crew that has won over 100 National and International awards for the American Health Journal. 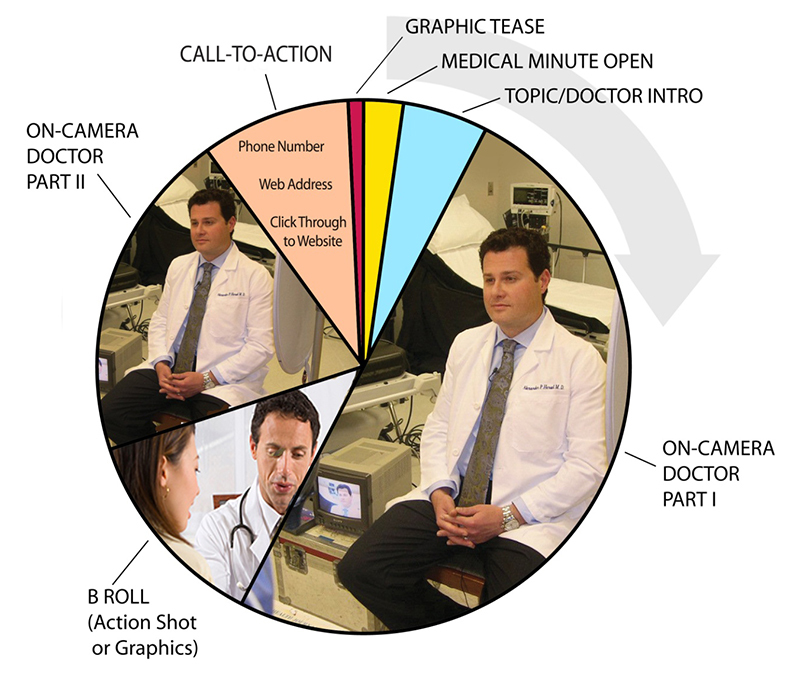 After selecting the topics for your series of 60-second Medical Minute spots, a script is carefully crafted to get the optimal amount of direct responses. You are guaranteed high HD resolution images accompanied by broadcast quality animation, audio and custom music. The post production department includes important action shots (B-roll) animation or graphics which are inserted in each Medical Minute to keep the audience attention and enhance the Doctor message. The approved copy for each Medical Minute is transferred to an easy to read on-site field teleprompter so there is no long dialog or copy to memorize. All Medical Minutes are directed by an experienced director/producer. All Medical Minute spots are approved before and after post production to insure the pre-approved script and graphics are correct. Research and creation of 60-second scripts and on-site teleprompter. 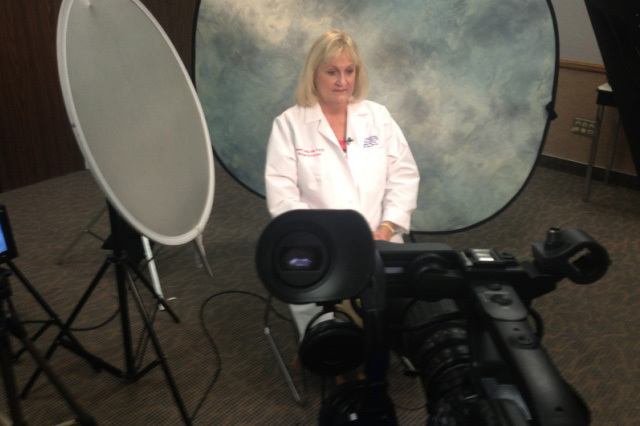 On-site filming at hospital site, practice location or our studio. Development of a custom placement map around the target location in 5, 10 or 15 mile radius increments. This applies to Facebook only. Targeted demographics such as age, gender or special interests. A fresh 60-second spot is rotated each month campaign. The Medical Minutes are placed on social networks such as Youtube and Facebook and other targeted networks of your choice. The campaign guarantees over 75,000 impressions. All “Medical Minutes” are licensed at no charge for the use in all marketing efforts that includes Facebook, trade shows, sales presentations, email blasts and websites.